“Video game critics are jaded and bitter and hate everything” – A sentiment I’ve heard more times than I can count that I’m here to put to rest. 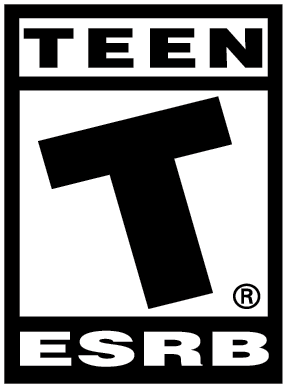 Sure, critiquing games can be a grind but remember that the vast majority of us were gamers first, me included. 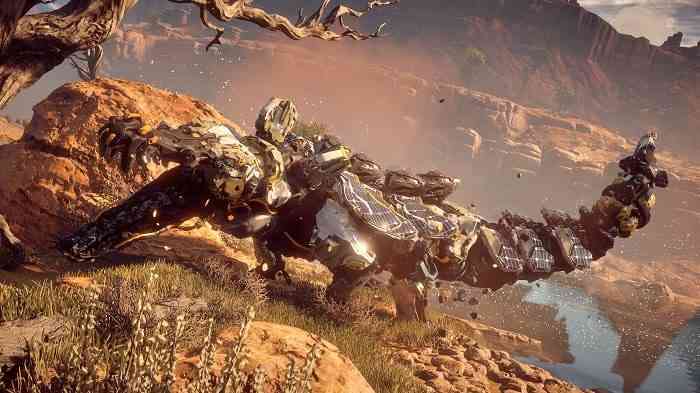 In the case of Guerrilla Games’ Horizon Zero Dawn, the hype train left the station at full speed immediately after it was revealed. Guess what? I was driving that locomotive and set it to full throttle. That’s why I’m ecstatic to say the hype was all real. This is one of the best games to ever grace not only your PlayStation 4 but gaming in general. Horizon Zero Dawn is a sweeping epic, magically dancing across the lines between sci-fi and fantasy, masterfully intertwining two genres that traditionally have held their own space in gaming. 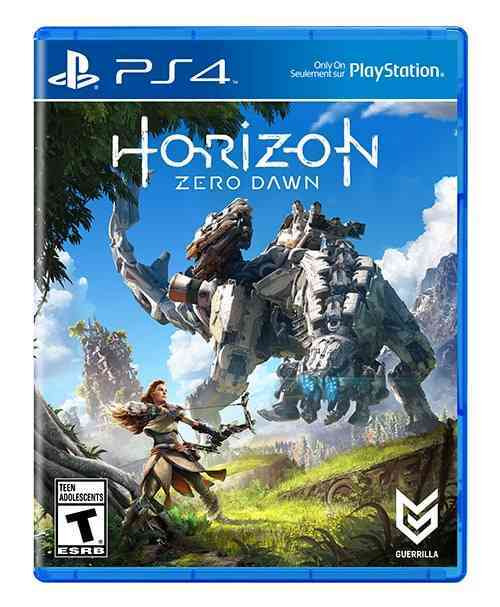 That’s not to say there haven’t been other games to do this crossover but none of them have achieved what Horizon Zero Dawn has. An open world Action-RPG mixing the best gameplay mechanics we’ve seen over the years with unique and dazzling elements of its own thrown in to blow your mind. It is the far future, long after our current civilization has run itself into the ground, and all that’s left of everything we know is not much more than dust. Our world has been reduced to skeletal, decrepit and crumbling ruins but human kind has survived. Out of the ashes of our ruin, some humans have become tribal and primitive, worshipping mysterious deities and hiding away from everything the old metal world has to offer. Stubborn in their ways they shun that which they do not understand and here is where we find our leading lady, Aloy. Raised an outcast from the Nora Tribe we are introduced to Aloy as a child. Masterful storytelling has you hooked within the first five minutes as Guerrilla sets up the narrative with a deft hand. 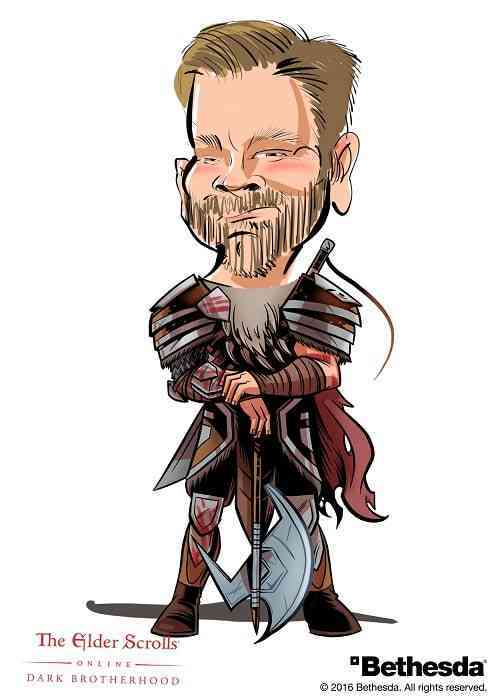 Not only will you immediately be drawn to the plot, you’ll care deeply about Aloy as well. Young Aloy — fierce, strong-willed and compassionate — grows up never understanding why she was labeled an outcast. When Aloy asks her adopted father Rost why she has been shunned, the pain conveyed through her eyes is all too real and here is where the game firmly sinks its teeth into you. Not being able to provide Aloy the answers she needs, Rost instead trains her to compete in The Proving, a contest that allows the victor a boon. If she wins she’ll be allowed to ask the questions she so desperately wants answered. Advance past The Proving, and the world of Horizon Zero Dawn opens up before you and the wonder of this game becomes truly apparent. 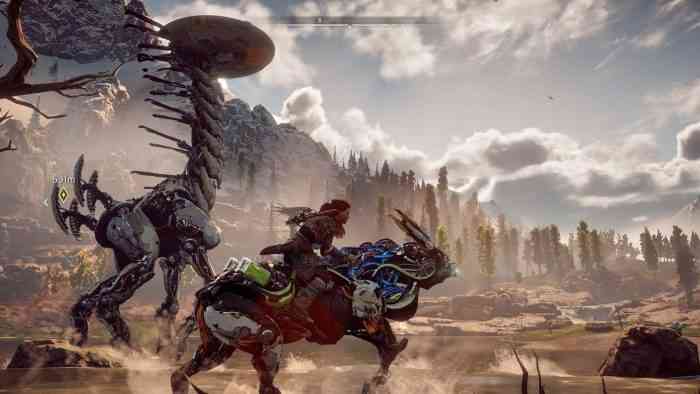 Taking its cues from some of the best games of the past, Horizon Zero Dawn has everything you’d expect from an open world action RPG and it provides it in depth. You’ll find inspiration from Tomb Raider, the Arkham series, Assassin’s Creed and more. Skill trees allow you to advance your abilities focusing on stealth, brute force and foraging as you mold Aloy into the warrior that best suits your playstyle. Combining relics of the old world with primitive weaponry you’re able to fire shock arrows, lob freeze bombs with your sling and use your spear to take control of the world’s wandering machine creatures and make them your own. You learn how to craft ammunition, traps, and potions with nothing you collect going to waste. Essentially, every base is covered when it comes to a game of this nature. Customization is massive in scope with modifications being applied to weapons and outfits that you acquire over your journey. Having more than one outfit on hand at a time is important because for each advantage any one outfit may give you, such as higher stealth ability or elemental protection for example, another advantage is likely stripped away. Acquire modifications, outfits, and weapons from traders or out in the wilds as you scavenge from machines. You will learn quickly that resource management is another important aspect of your success with many high-level items requiring not only shards but special items retrieved from various sources. Combat is smooth as silk with the non-intrusive HUD giving you all the information you need while also being simple to navigate. Craft arrows on the fly at ease, scan your enemies for weak points and unleash fury. I play with a focus on stealth, luring my enemies to their demise for a silent kill or laying them to waste from a distance. If up close and personal is more your speed you can focus on upgrading your melee attacks but the action can get fast and furious in a hurry. The game is unforgiving if you rush in without thinking your strategy through so careful planning is essential to your success. Early in the game, Aloy acquires her Focus which gives her the ability to scan the world around her for information. You can learn weaknesses of the machines you face and find data points that give you insight to what happened in the past. Using the Focus can be compared to using Detective Mode in the Batman Arkham series of games and you will rely on it completely. Strategy is of the utmost importance as each machine or enemy has distinct strengths and weaknesses. Using what you have learned with your Focus you can strike certain parts of a machine’s body to inflict damage or rip loose components. 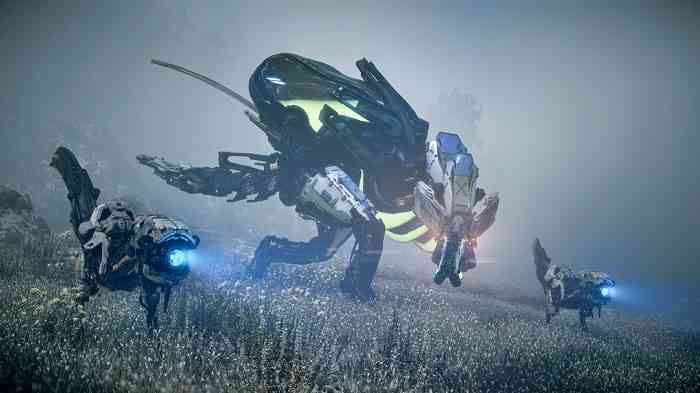 As an example, one of the early machines you’ll face off with is a Grazer. Grazers carry canisters of Blaze on their backs, a component for fire arrows and bombs, and sport spinning rotors for horns. A typical altercation may involve using Tear arrows to have the canisters separate from their body for collection later. Then, target the rotors to reduce any damage the Grazer may do should it get to you. Don’t want to mess with all that? Send a fire arrow straight into those Blaze canisters and watch the world burn. Outside of the main narrative, which should take you around 30 hours to complete, there’s an absolute mountain of content in Horizon Zero Dawn for you to make your way through. Side quests in the game are as well thought out as the main story providing strong characters and meaningful interaction with the world around you. Exploration rewards you with Vantage Points that give you a glimpse into the old world or with collectible sets that you can use to trade for rare items. You can liberate bandit camps to receive rewards and new merchants to trade with or you can track and climb Tallnecks to reveal more of the world around you. My favorite extra in the game is the Cauldrons which would equate to Zero Dawn‘s version of a dungeon. Sealed off facilities of the old world teeming with lights and circuitry and mysteries unknown. Stepping into a Cauldron for the first time feels amazing as you see that mix of sci-fi and fantasy come alive. It’s in this extra content that you appreciate just how much work Guerrilla put into turning Horizon Zero Dawn into what feels like a living and breathing world. The star of the show, Aloy is voiced superbly by Ashly Burch but she is not alone. The cast of characters in Horizon Zero Dawn is not only immense but rife with talent. There’s nothing worse than having a well-crafted narrative sold short by shoddy voice work and thankfully you don’t need to worry about that here. Other sound design elements such as the valves and pistons of the machines or the accompanying soundtrack were all afforded the same level of attention. Guerrilla simply did not slip on any facet of the game. Apart from the outstanding narrative the biggest standout when looking at Horizon Zero Dawn is its visuals. Without question, it is the most stunning piece of work ever made for a console and should you play it on a PS4 Pro with a 4K TV you are in for an experience like no other. The world explodes in your face with color and texture. The lighting is the best I’ve ever come across with god rays peeking through the fog and lens flares blinding you when you hit just the right angle. The day and night cycle brings glorious sunshine atop snow covered fields and moonlit crawls through tall grass as you stalk your latest prey. Weather effects are equally as brilliant with pounding rain obscuring your road ahead or brilliant sunsets through scattered clouds lighting the sky in deep reds and blacks. I can not say enough about how impressive Horizon Zero Dawn looks and Guerrilla is to be commended. It’s readily apparent by now that I’ve gushed on and on about how fantastic Horizon Zero Dawn is but that doesn’t mean it’s without some flaws. Here’s the thing, though; the flaws present in the game are so minor, so incredibly minute that there is no way to have them take away from your enjoyment of Aloy’s world. I noticed minor graphics blips where character’s faces didn’t quite match up right and the odd NPC moving awkwardly or getting caught in a loop. It says something about a game that when I’m supposed to be critiquing it that I find a hard time actually finding things to critique. As a lifelong fan of video games, this is as close to a perfect game as I’ve played. Horizon Zero Dawn is Guerrilla Games’ crowning achievement in video game development. A masterful epic that outshines any game we’ve seen on the PlayStation 4 so far. Words can not do justice for what you need to see for yourself. If Sony was banking on Horizon Zero Dawn to be its next flagship franchise they’ve succeeded and Aloy will do a fine job stepping into the large shoes that Nathan Drake so recently left empty.